Genuine Epson ERC-38B Black Fabric Ribbons for Epson TM-U Series Printers For Epson Cash Registers TM-U200D, 300A, 300B, 300C, 300D, 370, 375 and Samsung SRP-275. Genuine Epson ERC-38BR Black/Red Fabric Ribbons for Epson TM-U Series Printers For Epson Cash Registers IT-U375, TM-300, TM-U200; TM-U200D, 300A, 300B, 300C, 300D, 370, 375 and Samsung SRP-275. Genuine Lexmark 15M1335 Color, 2 each, Ink Cartridges forthe Lexmark Color Jetprinter 153; Z11, Z31, 3200, 5700, 5770, 7000, 7200, 7200V; Optra Color 40, 45. Also fits some Compaq and Samsung printers. Epson ERC30-34-38B Premium Quality Compatible Black POS Ribbon designed to work in the TM-U200D/ TM-200U/ TM-300A/B/C/D/ TM-U370/ TM-U375/ M119B printers. 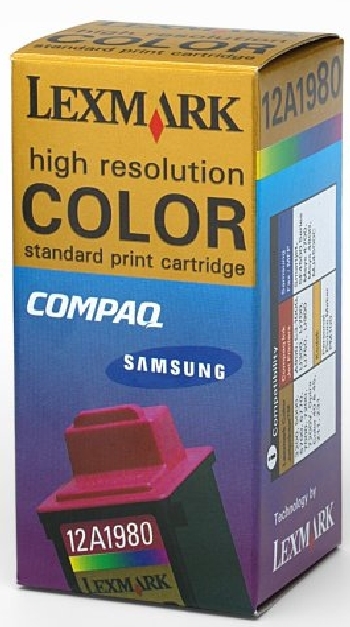 Also fits Samsung SRP-275 printers. The use of compatible supplies does not void your printer warranty.